I attended "oyster class" a couple of weeks ago to learn how to shuck an oyster. Success! Also learned a ton of factoids such as did you know it is generally easier to shuck a West Coast oyster than an East Coast oyster? Also, Blue Point oysters are among the hardest to shuck of all the oysters. 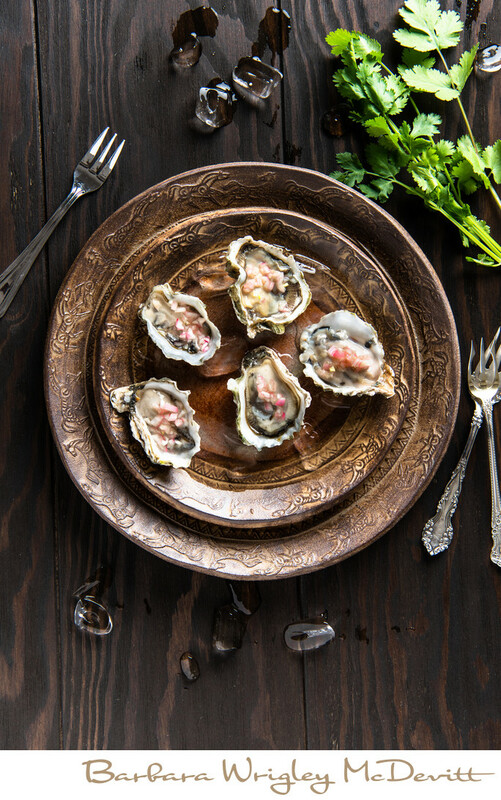 These particular Kumamoto oysters are harvested from the Humbolt Bay, California, have a small shell with a deeper cup and firmer meat. I topped them with a simple mignonette made from shallots, a low acidity cider vinegar and a bit of cilantro. Delicioso!⁣Photographed with a sprig of parsley for accent.